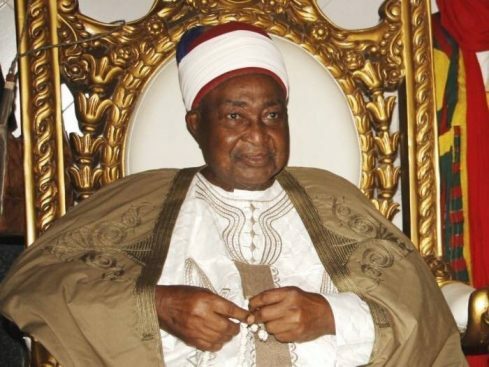 Following the death of the Emir of Lafia and the Chairman of Nasarawa State Council of Chiefs, Alhaji Isa Mustapha Agwai I, the race for the throne is getting heated as there is no indication as to who would emerge among the 18 claimants to the throne from the two ruling houses of Dallah Dunama and Ari Dunama. Governor Umaru Almakura of Nasarawa State had told Emir of Keffi, Dr Shehu Chindo Yamusa III, who is the Vice Chairman of Nasarawa State Council of Chiefs in his palace that his administration was working on the accession process. Recall Alhaji Isa Mustapha Agwai I died in January 2019 at the age of 84 years. The late emir was a descendant of Ari Dunama house and by virtue of the existing law; the new emir is to emerge from the Dallah Dunama ruling house. Contenders from the Dallah Dunama house include Alhaji Abdullahi Yusufu Musa II, Alhaji Maisallau Musa II, Alhaji Ishaku Dauda, Alhaji Muhammad Makama Dunama, Justice Sidi Dauda Bage, Alhaji Mohammed Waziri Hamza and Mallam Mustafa Yahuza Musa II. Others are Alhaji Dunama Abubakar Ahmed Musa II, Alhaji Abdullahu Muhammad Salihu, Alhaji Safiyanu Bage, Aliyu Muhammad Abdullahi, Idris Yusuf Musa II, Alhaji Abbas Ramalan Musa II, Suleiman Mohammed Moyi Dan Nana, Alhaji Muhammad Aminu Yusuf Jaje and Abdullahi Musa Hassan. There are two contenders from the Ari Dunama house namely; Alhaji Isa Mustafa and Alhaji Abdullahi Aliyu M. Agwai. The law has mandated 5 Lafia Emirate Council members to elect the next emir among those who believe they hold the lawful right to the throne.